Book Challenge Day 27- A Book You Have Wanted to Read for A Long Time But Haven’t | What are we...the Whos? It’s told completely through a series of emails in an advertising agency. Clearly, since I spend my 9-5 at an ad agency, this book has always interested me. But, I’ve heard a lot of non-advertising readers really enjoyed it. So now it’s definitely on my “to-read” list and hopefully will soon be on my “purchased” list. Posted in Authors, books, Reading, Writing and tagged 30-Day Book Challenge, E, Matt Beaumont. Bookmark the permalink. I hope you like it (once you actually get round to buying it) and that the humour is not distinctly British. There’s a part 2 (called e Squared) which is also quite hilarious but not as good as the first one. 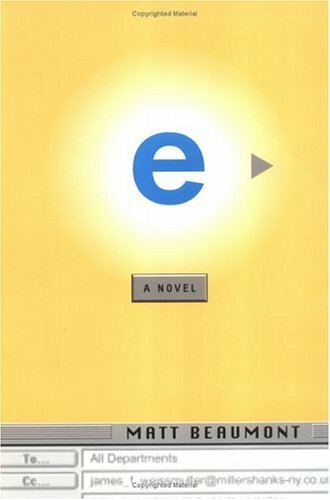 And there’s one other book about the same agency called The e Before Christmas. Once I read the first one, I just had to read the rest. I had no idea there were more! I’m definitely going to get them. I promised my fiance I wouldn’t buy any more books until after we get married and pay off the wedding. So my Amazon cart just keeps growing and come November, I’ll be making quite the purchase haha.